The ‘Introduction to Big Data and Hadoop’ is an ideal course package for individuals who want to understand the basic concepts of Big Data and Hadoop. On completing this course, learners will be able to interpret what goes behind the processing of huge volumes of data as the industry switches over from excel-based analytics to real-time analytics. Big Data Analytics is widely used to analyze large volumes of data. The growing need for professionals equipped with the knowledge of Big Data and Hadoop has increased opportunities for those who want to make a career in this field. Knowing the basics of Big Data and Hadoop will make it easier for such professionals to pursue advanced level courses in this subject and acquire skills to become experts in Big Data analytics. Knowledge of Big Data and Hadoop enables you to install and configure Hadoop components and manage as well as integrate large sets of unstructured data. 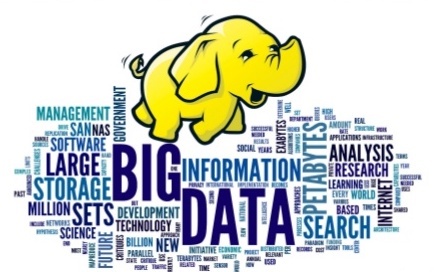 The following examples show why you should get equipped with the knowledge of Big Data and Hadoop. Facebook, which is a $5.1 billion company, has over 1 billion active users! It is Hadoop that enables Facebook to manage data of such magnitude. Linkedin manages over 1 billion personalized recommendations every week, with the help of Hadoop’s MapReduce and HDFS features. The Yahoo! Search Webmap is a Hadoop application that runs on over 10,000 core Linux cluster and generates the data that is widely used in each query of Yahoo! Web search. A good understanding of the basics of Big Data and Hadoop makes it easier to improve your analytic skills, thus increasing your career prospects in the Big Data analytics industry. According to Robert Half Technology, the average salary for a Hadoop certified Professional is in the range of $154,250. Top companies like Microsoft, Software AG, IBM, Oracle, HP, SAP, EMC2 and Dell have invested a huge $15 billion on data management and analytics, thereby increasing the number of opportunities for Big data & Hadoop certified professionals.